GoPens.com | Handwritten Post: When Does A Pen Become Vintage? 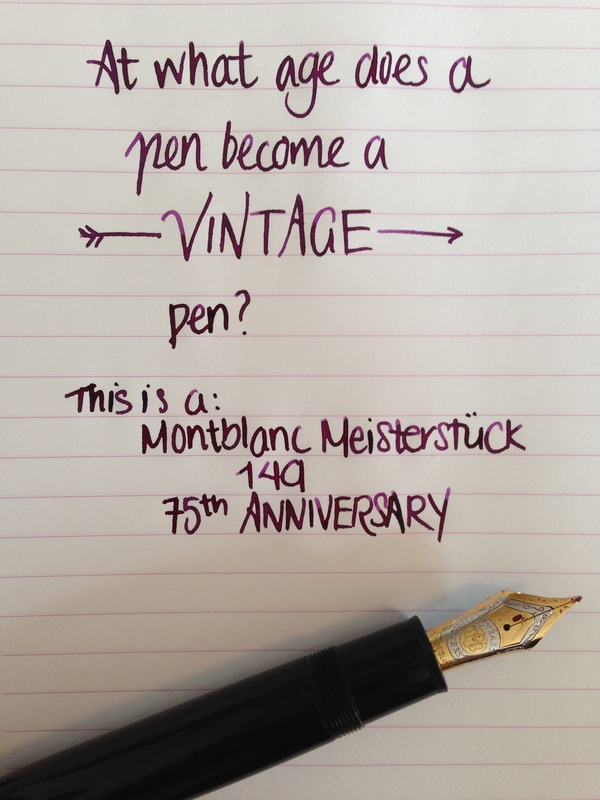 Handwritten Post: When Does A Pen Become Vintage? Help me out here, folks. When does a pen qualify as vintage? Ten years? Fifty? The oldest pen in my collection is something like 101 years old, and I’d say that qualifies. Or is it not the age, but rather the material, filling system, and/or nib type that defines whether it is vintage or not? This entry was posted in Vintage Pens and tagged Handwritten. Bookmark the permalink. Follow any comments here with the RSS feed for this post. Post a comment or leave a trackback: Trackback URL. I define vintage as something I can no longer get so for a pen, if its no longer made its vintage to me!